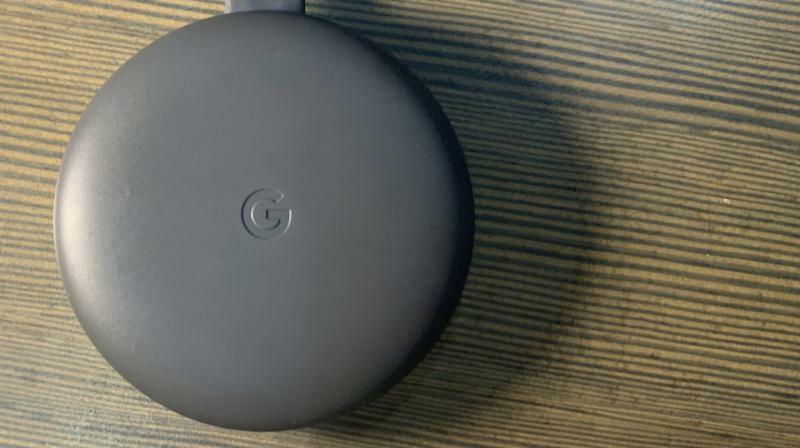 Google announced the new Chromecast with subtle improvements and a new design. The new Chromecast 3 (3rd generation 2018) is available on Flipkart for a price of Rs 3,499 and considered as a complete value for money product if you don’t already own a smart TV. 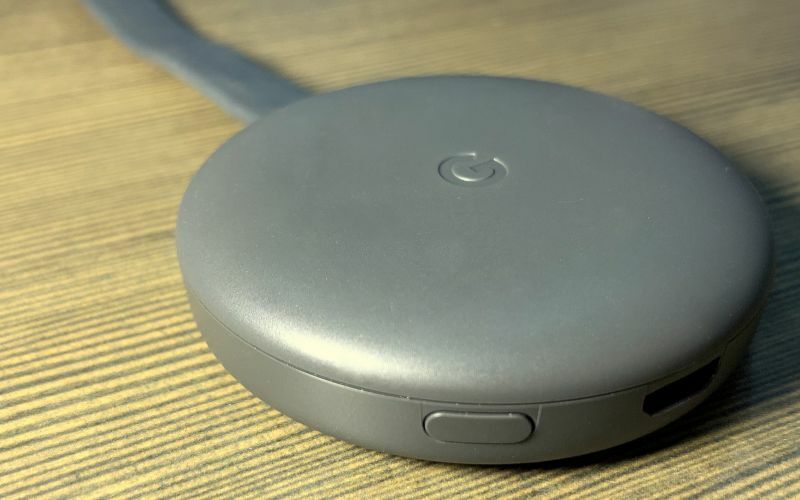 Google was pretty silent about the launch of this 3rd generation Chromecast, probably because there is nothing much and new that they could boast about. However, the Chromecast is one single device that can still change the way you can look at content differently on your standard or regular large screen TV. Unless you own a smart TV (especially an Android TV variant), this device is definitely something you should look at. In short, an LCD TV + Chromecast + smartphone = Almost-Smart Android TV for just Rs 3,499. What else do you need for your smart TV? While some may not be convinced, let’s dive deeper into the Chromecast itself. 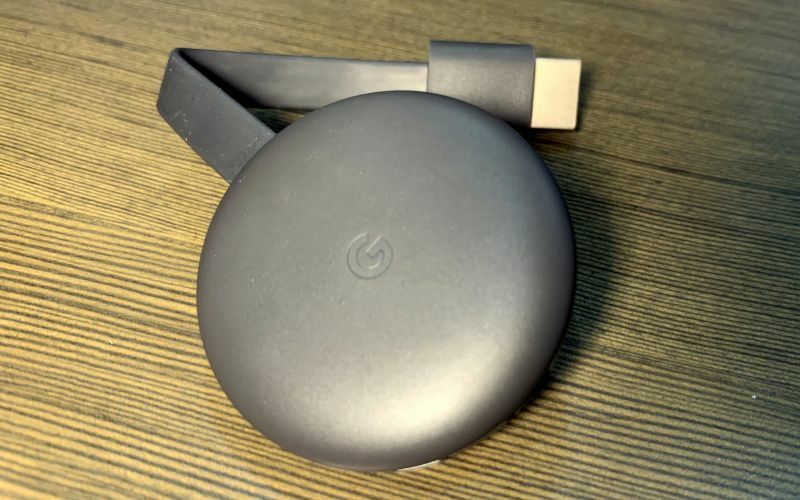 The Chromecast is not a new device — is it just that it is now in its third generation and does almost the same that the previous models could do. The puck-sized device retains the similar dimensions as the older one. It sports an HDMI cable hanging from one side while the other end features the micro USB port for power. A USB cable and its supported 5V USB adapter are supplied within the box as usual. The device has no power switch but just sports a single LED for status notification and a button for reset. Unlike the older gen which was glossy with a slightly boring design that was susceptible to dust and scratches, the 3rd gen device sports a cool matte-finished exterior with a completely smooth and rounded design. 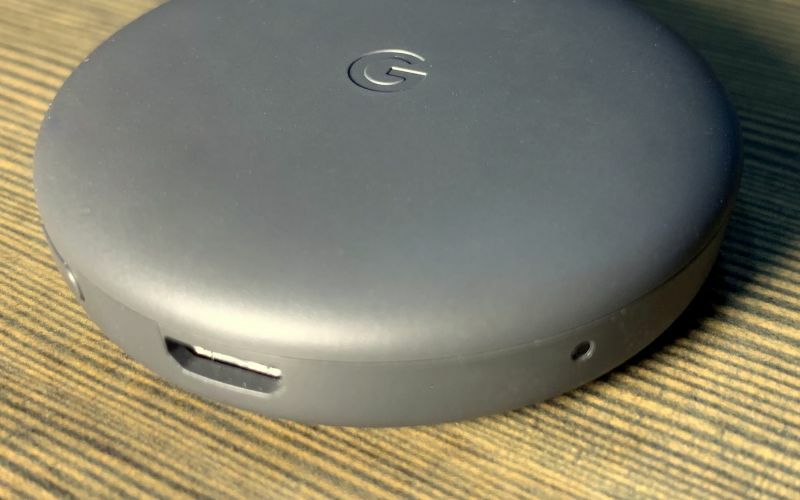 The front now shows off an embossed Google logo, the rear panel is plain with some text about the product’s certifications. 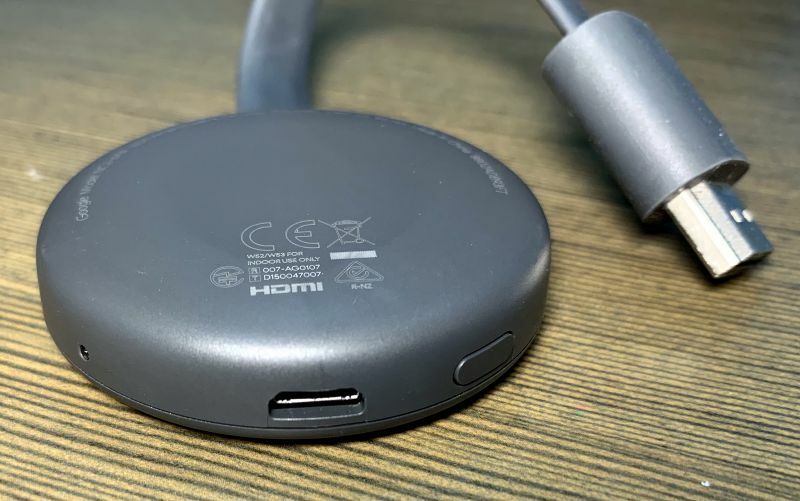 Gone is the magnetic feature on the new gen, which was looked at a great option for keeping the device latched to the rear of the device or tucking on the HDMI cable when not in use. 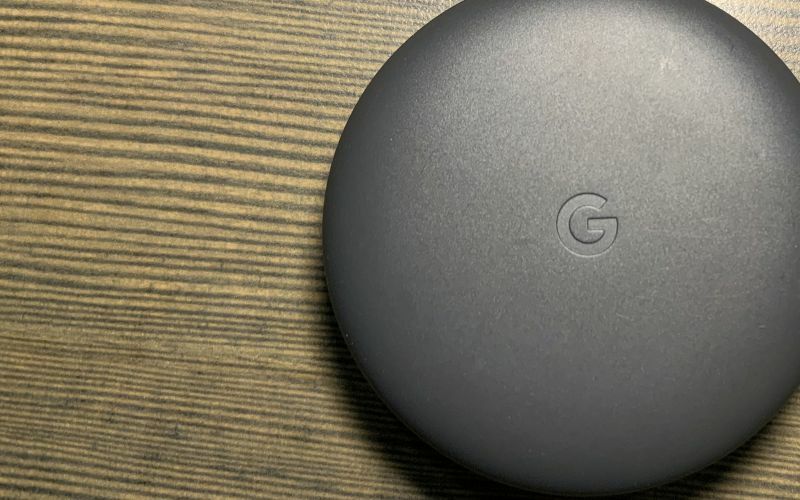 While there is nothing new under the hood, yes we must say that the device now sports a faster 5GHz 802.11ac wireless connection and in a future update, the new Chromecast will also get the ability to stream audio to speaker groups. It still supports the same 1080p resolution, but now at 60fps for a smoother video performance, which will help gamers stream their content on larger displays with great comfort. The Chromecast plugs in directly to any compatible TV with an HDMI port and uses a standard 5V USB port for power. However, not all older TVs can supply sufficient power output required by the Chromecast, and if you are in the same situation, you could also use a third-party adapter or the bundled one. Sadly, this one still does not support a remote as yet, but you could still have complete control over the device with the app that is available for Android and iOS. To set up the device, you would need to install the Google Home companion app. This app will also help you set up other devices that are from the Google family. 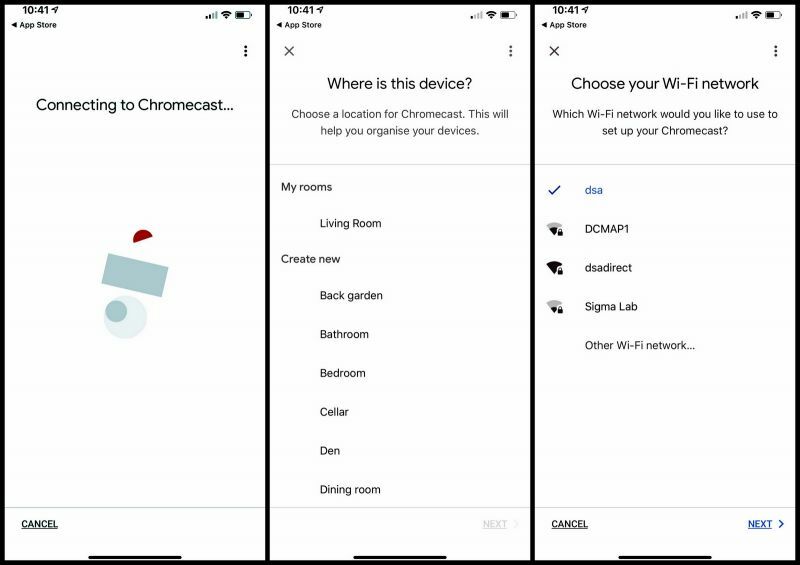 Once set up, your phone is the only window to the Chromecast’s performance. All you need to do is simply stream content from your smartphone directly to the TV without the worry of your videos stuttering or alike. All you need to ensure is that you have a 5GHz wireless router (for better data throughput), a strong internet connection, and you are set. Since the device will reside behind your television set, ensure that your router is not too far out of range. While some may not be convinced about the device in comparison with other streaming sticks around, such as Roku or Amazon’s Fire Stick, we do agree partially as this one simply refuses to show Netflix for you. However, the Chromecast is not everything about Netflix. With a bank full of Chromecast apps online, the new streaming device can empower your television with content you would not otherwise appreciate. There is almost no user interface on this one, and which probably makes it better. We personally think that the way it is, is better as the user interface is the app that you need to stream anyways, and it is on your phone itself. So your phone plays the role of a smart remote control with a display. You can control the playback and volume at will, without the need as long as you are connected on the same network. Yes, there were times that we did feel the need for a separate remote control unit simply because when the smartphone goes to standby mode, you have to re-enter the passcode or unlock the phone and then wait a few seconds to gain control over the Chromecast stream. Casting or mirroring the phone is also possible and is even better with a 5GHz network in place, provided your phone is also on the same 5GHz network. You can mirror your phone and play games at a faster frame rate with minimal lags. We did try the same on a 2.4GHz network, but were disappointed with the performance on both gaming as well as video playback on apps that don’t support Chromecast — the video/audio delay was unacceptable. You can not only use the smartphone but also use your tablet or PC alongside Chromecast. While a table is self-explanatory with apps involved, a Windows PC with Chrome can be used for a good option too. You can use the Chromecast as a second monitor where you can cast a tab or the whole browser directly on the TV. 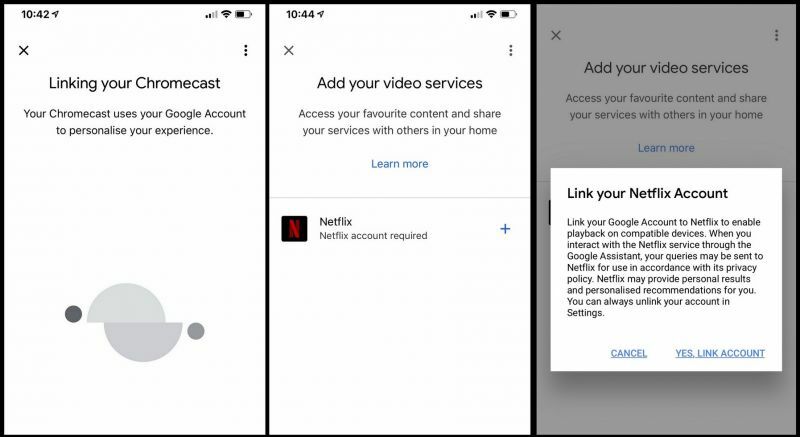 While using apps that are compatible with Chromecast, you don’t have to bother about your phone’s battery being drained or additional data being consumed. When you cast your apps on the TV, the phone is actually sending an instruction to the Chromecast to take the stream directly from the internet instead of your phone. Only the playback control is synced with your phone so that you can use the app as a remote control for the TV’s content. However, this is not the case for content resting on your smartphone. When you cast content from — say a movie or photos — stored on your smartphone, the data travels from the phone to the router and then to the Chromecast to display on the television. Network channels, bandwidth, distance and a few other important requirements play a major role in how the content actually plays on the TV. And adding to that will be the battery drain on your phone. As far as content for Chromecast is concerned, unlike earlier, there are a plethora of apps available that are compatible with Chromcast. You can head on to https://store.google.com/product/chromecast_apps to see a variety of apps that are available for your entertainment. These include app categories such as TV, movies, music, sports, games, photos, videos and news apps. While most of them could be considered as useless for the Indian crowd, some useful ones like Hotstar, Netflix, Sony Liv, Hooq, Ditto TV, YuppTV, and Google Play movies are good enough to keep you busy. It’s sad that Amazon Prime Video is still not included in their list, probably because Amazon wants to keep their content specifically for the Fire Stick hardware. The best app for now with the highest compatibility is YouTube. While gaming is also part of the Chromecast possibility, playing high-end games will be limited. However, you can definitely keep yourself entertained with games such as Deer Hunter, FitFlap, Twitch, Cast Bowling and a few others, but many are simple and less graphics intensive. The next best thing that happened to the new Chromecast is voice control. However, you need to have a Google Home speaker within your network to take partial control of what you want to stream/play/cast on your TV. With a Google Home speaker, you can simply use your voice on compatible apps to take charge of a few controls such as forward, rewind, pause, play, volume and mute. Lastly, the newest feature that will be opened up in some time with an OTA update is the Bluetooth speaker pairing where you can throw the audio directly to a soundbar or additional speakers around your home using multi-room setups. While we could not test this out, we are sure the experience will be overwhelming as we would be able to play music through all our speakers around every room. As far as the performance of the device is concerned, Google states that the 3rd generation device is around 15 per cent faster than the predecessor. 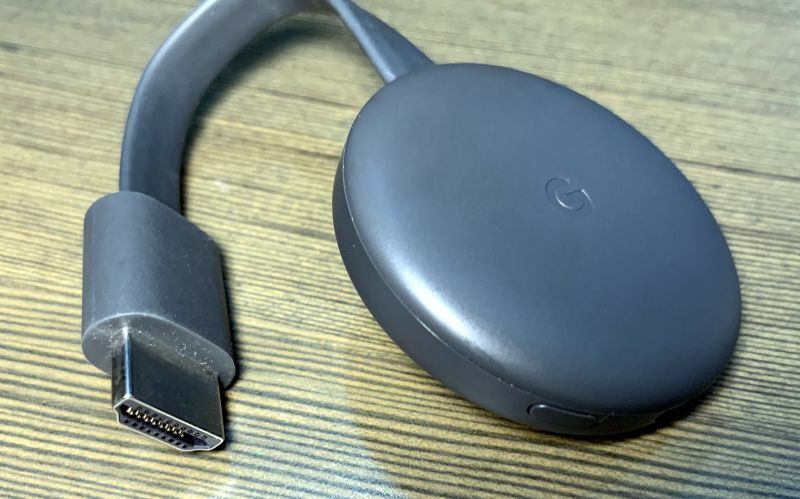 We also expected the Chromecast to now support 4K resolution panels but were disappointed as the new device is not much of a difference over the older model, apart from a few additional feature and hardware updates. While there is a 4K version of the Chromecast that was released last time, it is almost twice the cost. With 4K panels soon replacing regular TVs in homes today, the Chromecast needs to be future ready, and that is where it probably lacks. However, with a scarcity of 4K content online, it makes sense to stick around with 1080P, for now, to save on unwanted costs. The Chromecast does not make sense for those who are opting in for newer TV sets. Most new TV sets are featuring Android TV and Chromecast comes built into most units, which will make the Chromecast dongle useless. Additionally, most smart and Android TVs today also have the option of installing the media apps directly onto it, which again spells for a Chromecast dispensability. However, if you are one of those who are content with their existing non-smart or semi-smart TVs, but want to add value to the old investment, the Chromecast is the sweetest deal out there. To sum up the entire experience, the new Chromecast 3 is not a revolutionary device upgrade. However, it can be a great investment for those who want to smarten their existing boring idiot boxes. The addition of 1080p@60fps, 5GHz wireless band, multi-room speaker setup and Assistant voice control is a welcome upgrade, but the lack of Amazon Prime Video, which is one of the hottest OTT platforms in India, is a bummer. 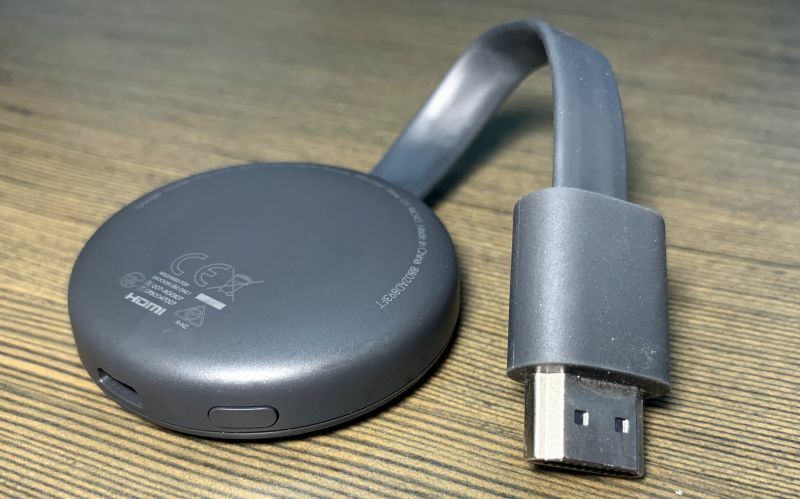 The new Chromecast 3 (3rd generation 2018) is available on Flipkart for a price of Rs 3,499 and considered as a complete value for money product if you don’t already own a smart TV.